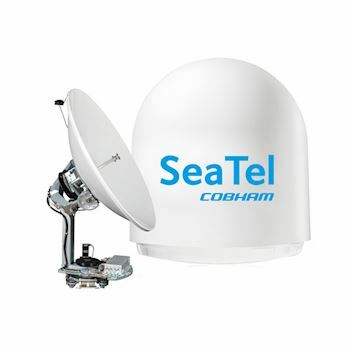 Sea Tel 80 TV is a 3-axis Ku-band satellite TV antenna with a 83cm / 32.68 inch dish. It has advanced technology that enables the user to receive Ku-band HD satellite services worldwide without having to change the LNB. Programmable LNB, means there is no need to change them when travelling to different countries. Advanced stabilisation for viewing satellite TV even in rough sea conditions. Integrated DVB-S2 tuner reception and identification. Frequency tuned radome minimises signal loss. Easy to install and use as it utilises the same bolt pattern as the Sea Tel Series 04 systems. Extensive capabilities for online and offline trouble shooting. Worldwide service with 2 years parts and labour warranty. Included is an integrated and secure user interface with extensive logging capabilities and as with all Sea Tel products, it is built to operate and last in extreme conditions.